Coming from down under, Thy Art As Murder blew up in the Deathcore scene a couple years ago and they’re still going strong. The band just unleashed “Hate” on the world, their second full length studio album. It hits stores today, so you hit those stores if you dig this band. You can also watch the music video for the single “Reign Of Darkness” and the band’s play through for “Shadow Of Eternal Sin” below! Spread the hate! 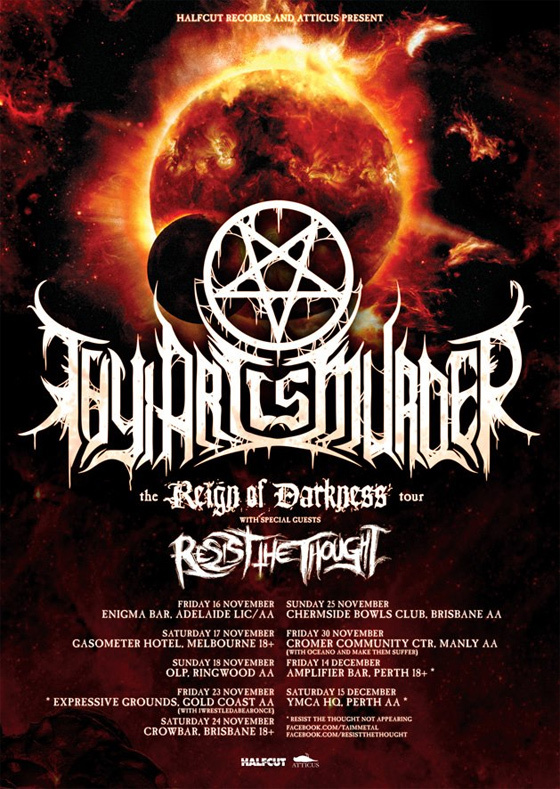 Thy Art Is Murder will also be headlining a tour across Australia with Resist The Thought to support the “Hate”. So if you reside in Australia, you know what to do! Check the dates on the flyer below!